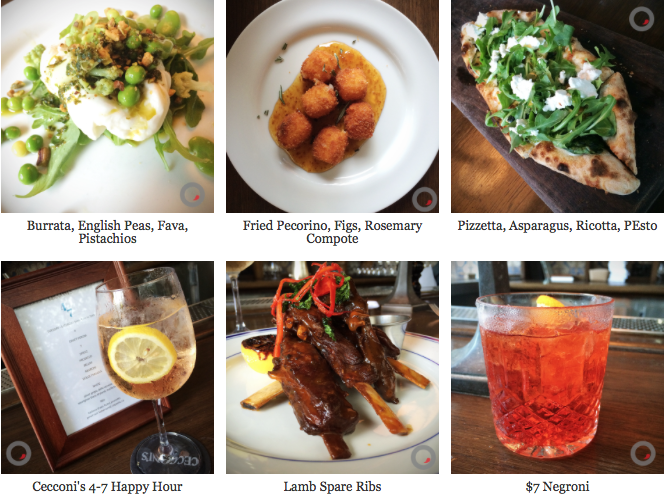 Cecconi’s recently launched its “4 to 7 p.m. Happy Hour” menu and we had to go and see if for ourselves. Imagine sitting at the restaurant’s gorgeous bar as the sun sets munching on $4 plates such as Fried Pecorino with Figs and Rosemary Compote or heartier dishes like Lamb Spare Ribs ($7) and washing it down with a couple of $7 Negronis. Check out the pics below and swing by Tuesday- Saturday (yes – Saturdays are included) and save us a seat at the bar.